I was born in Fort Atkinson, WI and spent most of my childhood and teenage years growing up in Delavan, Wisconsin. From a young age I enjoyed drawing and crafting, and then later building and painting model airplanes. I swam competitively from my childhood years through high school, and also liked bicycling. During my junior year of high school, I lived a wonderful and educational year in Santos, Brasil as an American Field Service (AFS) foreign exchange student. I always enjoyed science, and decided to attend the University of Wisconsin to major in biochemistry. I decided to attend medical school when it seemed like I needed something more fulfilling than working in a lab. Surgery was a natural choice because it allowed me to work more with my hands. Once in my surgical residency at the the Medical College of Wisconsin, it became clear that plastic surgery was where I needed to be; this would allow me the opportunity to take a creative and detailed approach to patient care, and allow me to prosper. I did my plastic surgery fellowship at The Ohio State University in Columbus. I then moved back to Wisconsin because of this wonderful job opportunity, and to be closer to family. I have been blessed with three wonderful and talented children. They remain very active and I am always amazed at how much they can cram into one day’s time. Klaire has always been an independent and strong-willed girl with a friendly personality. She is constantly on the go and is very social. Klaire stays busy with swimming, school activities, babysitting, and volunteer work, but most of all she really enjoys getting together with her friends. Klaire has a crafty and creative side, and you will often find her in the kitchen baking cookies. She has grown-up fast, and started her freshman year at Madison this fall. Her father is very proud she is a Badger. Dell has always been an active boy who loves sports. While growing up he has played soccer, baseball, basketball, and was a very good swimmer for several years when he was younger. Currently his primary focus is soccer. Like his dad, Dell is a big Packers fan, and we have been fortunate enough to attend a few games to cheer them on. Dell enjoys hanging out with his best friend, biking around the neighborhood, playing video games, cheering for Barcelona, and watching sports on TV. Dell started his sophomore year in high school this year and is becoming quite a young man. Kamryn is a gentle, loving, and happy girl…a real people pleaser. She really enjoys swimming, and continues to excel year after year. She placed 7th in the state for the 200m butterfly this summer and has continued to drop time on the high school girls team this year as well. She has also played soccer and ran track and cross country. Kamryn admires, and enjoys learning from, her brother and sister. Kamryn enjoys helping dad in the kitchen with cooking and baking. Kamryn, like her older sister, has a large and diverse group of friends. She is very social with her friends, their activities, and sleepovers. Kamryn graduated the eighth grade this year with a perfect grade point and is having fun in her freshman year of high school. FAVORITE FOOD: There are just so many to choose from! WORDS TO LIVE BY: Don’t take your life for granted. Always do the best you can. Be happy and enjoy. FAVORITE RECIPE: I make great lasagna. FAVORITE VACATION: Any place warm to escape Wisconsin winters. Plastic surgery should enhance a patient´s self confidence and the quality of his or her life. I strive to make each patient´s experience pleasant and rewarding, through an individualized approach which involves a realistic pre-operative evaluation, a thorough education of treatment options and anticipated results, and compassionate post-operative care. Initial office consultations are designed to allow time for me to establish a comfortable relationship with the patient. My objective is to work with you, to address your individual needs, and achieve the image and result you desire. It is important to allow each patient to share their personal views of their self-image, and then use this as a guide for their self-improvement. A shared understanding of goals is important to optimize achievable results. We will discuss your concerns in detail and review your medical history. A comprehensive physical examination will be performed, and medical photographs will be taken to help formulate a surgical plan. I will present you with the most appropriate treatment alternatives. 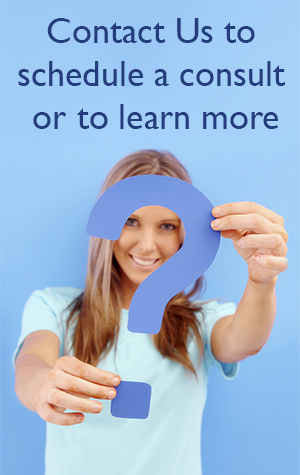 The benefits and potential risks of any treatment option, surgical or non-surgical, will be considered in detail. You will then be well informed and comfortable with your decision to undergo plastic surgery. I strive to make´quality´ the core of my practice philosophy and mission. I am a board-certified plastic surgeon with the skills to individualize the treatment to your needs. I will make every effort to ensure that your visit to Cosmetic & Plastic Surgery Specialists is an informative, personal, and pleasant experience. It is our privilege to care for you. 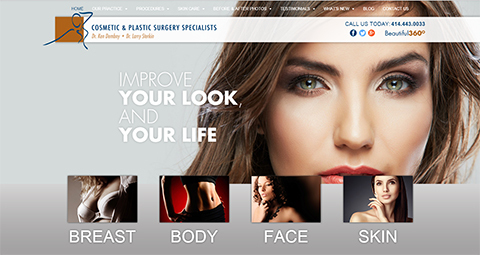 For more in-depth content regarding most cosmetic procedures, visit Dr. Dembny´s practice website – Cosmetic & Plastic Surgery Specialists.